When you pick up a bag of chips or a container of yogurt, those familiar labels on the back may soon look a little different. 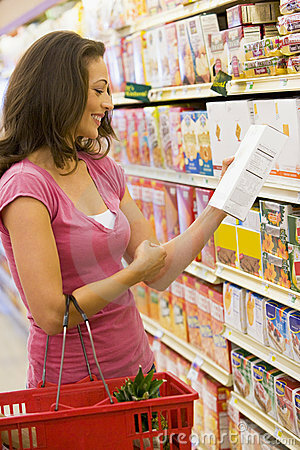 Changes have been proposed for the nutrition labels on US food products. The US Food and Drug Administration (FDA) announced February 27 new proposed changes to the Nutrition Facts labels on food products. The changes include a rearranged design, a different approach to sugars and updated serving sizes. Health officials are hoping that the proposed changes, based on updated research and information, will be easier to understand and help Americans make more informed food choices. In an interview with dailyRx News, Ian K. Yamane, DC (Doctor of Chiropractic), Clinical Director of the Valhalla Wellness Center in Las Vegas, said that in his opinion, any changes that might make it easier for the public to choose healthy foods and snacks are welcome. "The FDA's potential new labeling guidelines, which will show serving sizes, emphasize types of fat versus calories from fat, emphasize vitamin D and potassium content are certainly moves in the right direction," Dr. Yamane said. While the overall look of the Nutrition Facts label will stay the same, as Dr. Yamane noted, several elements will be shifted and redesigned in an effort to highlight the information now considered most important. One significant change to the newly designed labels would be a much more predominant calorie count. The typeface size for the calorie count will get a major increase, drawing the eye's focus to this key number. The serving size font would also grow in size, in an effort to have consumers consider this aspect a little more carefully. The Percent Daily Value number would shift to the left side of the label in the proposed changes, so it would meet the eye first. "This is important because the Percent Daily Value tells you how much of certain nutrients you are getting from a particular food in the context of a total daily diet," explained the FDA. This will mark the first major redesign of the labels since they were introduced in the 1990s. "The label has not changed significantly since 2006 when information on trans fat had to be declared on the label, prompting manufacturers to reduce partially hydrogenated oils, the main source of trans fat, in many of their products," said the FDA in a press release, perhaps hinting that production shifts will also occur after the newest label changes take effect. One area that might gain more attention in light of the new changes — added sugar. "Probably the most important feature of the new labeling for nutrition facts is the inclusion of 'added sugars,'" said Dr Yamane. "As the incidence of overweight, obesity and type 2 diabetes skyrockets, increasing awareness of harmful dietary habits — especially consumption of added sugars — can become an effective tool in reducing this trend." Much like when an extra line for "trans fats" was added to the label in 2006, the new label would feature a separate line for "added sugars." While some foods, like fruit, contain naturally occurring sugars, many foods also contain sugars added in during processing — substances like corn syrup, white sugar, brown sugar, honey, maple syrup and crystal dextrose. According to the FDA, these added sugars are considered "empty calories," adding flavor or texture, but with no nutritional value. "Many experts recommend consuming fewer calories from added sugar because they can decrease the intake of nutrient-rich foods while increasing calorie intake," explained FDA. Added sugars have been the subject of many studies since the Nutrition Facts label's initial creation, and recent reports have suggested that Americans' diets contain unhealthy levels of added sugar. In the 2010 Dietary Guidelines for Americans (DGAC), the most recent such guidelines from the US Department of Agriculture's Center for Nutrition Policy and Promotion, it was estimated that added sugars account for an average of 16 percent of the total calories in Americans' diets. According to the 2010 DGAC, "Reducing the consumption of these sources of added sugar will lower the calorie content of the diet, without compromising its nutrient adequacy." With the proposed changes, it would be easier to determine how much sugar in a product is naturally occurring, and how much is added in during processing. Another shift in the proposed label changes are revamped serving sizes, aimed to more accurately reflect the amount that people are actually, currently eating. "What and how much people eat and drink has changed since the serving sizes were first put in place in 1994," explained FDA. "By law, serving sizes must be based on what people actually eat, not on what people 'should' be eating." The updated serving sizes would require that packaged foods typically eaten in one sitting be labeled to reflect a single serving for the whole package. For some items that could either be eaten in one sitting or in several sittings, a "dual column" label would be required. This label would have nutritional information for the food displayed as both "per serving" and "per package." "Examples would be a 24-ounce bottle of soda or a pint of ice cream," said the FDA. "This way, people would be able to easily understand how many calories and nutrients they are getting if they eat or drink the entire package at one time." According to the FDA, these changes would make the Nutrition Facts labels more modern, more scientifically up-to-date and more helpful to consumers. However, the proposed changes are not yet set in stone and will likely take some time to implement. The FDA is accepting comments on the new design from the public for a 90-day period. If approved, the FDA estimated that manufacturers would have two years to fully adopt the label changes. In an FDA press release, First Lady Michelle Obama suggested the changes would help simplify and clarify the nutritional value of a food product for the average American consumer. Consumers wishing to weigh in on the Nutrition Facts label changes can contact the FDA with their comments. Medications for Mental Illness: a Risk Factor for Obesity?